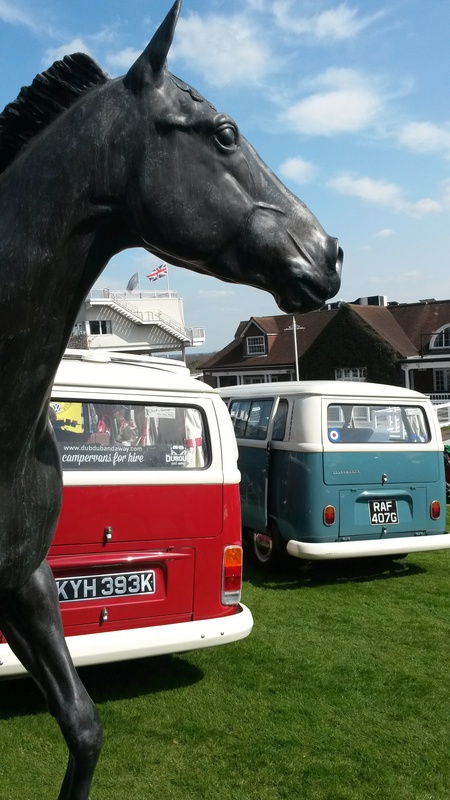 She is here, being displayed as part of the Volkswagen Type 2 Owners Club, and doesn't she look pretty in the sun? 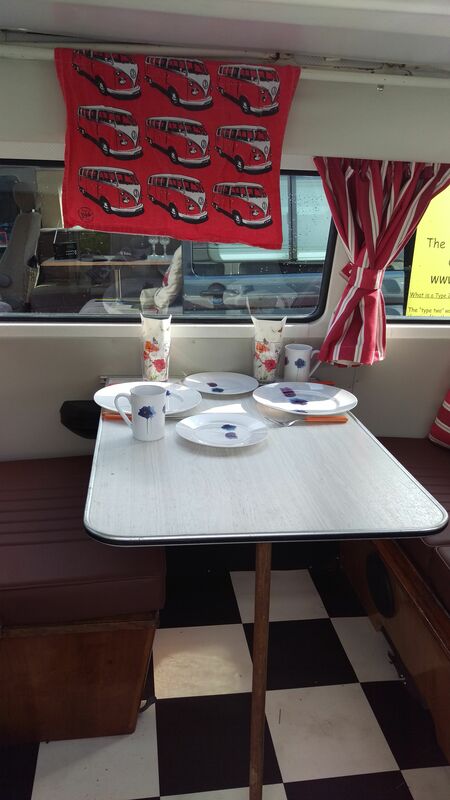 We fitted her new curtains last night and her rear cushions before setting off for the show. Lets hope she gets lots of admirers as she has so missed being adored.